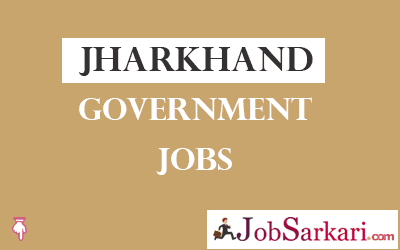 Jharkhand Government Jobs page will help you to find latest government jobs in Jharkhand State. Every year State Government of Jharkhand Publishes Recruitment Notifications for Government jobs in Jharkhand for various sectors. Here we are providing the list of all types of Jharkhand Govt jobs. Here you can also check Current / Latest Govt Jobs in Jharkhand. Based on the Employment news in state Government sectors we are providing the best information regarding Jharkhand Govt Jobs. We have the table below from there you can select any job based on your interest. We have shared the detailed information like education qualification, last date, vacancy details, post name. For further about any vacancy, you can click on the title of it. We will keep updating this page of Jharkhand Government Jobs once we have any new information. Keep checking our website jobsarkari.com or you can bookmark this page by pressing CTRL+D.